How To Get More Men Into Your Beauty Salon, And How To Get Them To Come Back! What Makes The Wet Shaving Academy’s Shaving Courses Unique? Where Can I Offer Wet Shaves? Full two day shave courses from £150! With the aid of a Scottish training skills initiative you can claim back up to half the cost of your employees training! Some of my shave courses have already been part funded in this way and it is very easy to apply and get accepted. So you can get our fantastic two day intensive course taught in your premises for as little as £150 per person (there will also be a charge to cover travel and accomodation). Some dates are available as soon as the week commencing 23rd March. Please message me to get full details of this fantastic opportunity. Did you enjoy this article? Please share! If you are interested in attending a Wet Shaving Training Course with us, please don’t hesitate to call Patrick Bryan on 07723 091845. 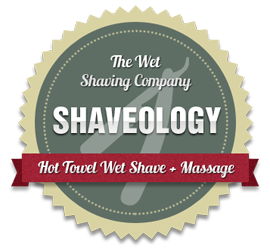 How do I book a wet shaving training course? How much does a wet shaving course cost? Call Pat on 01962 733040 / 07723 091845 to book - quoting the discount code above! Copyright © The Wet Shaving Academy 2015. All rights reserved.